Scare of preparing your Resume !!!!!!!!! 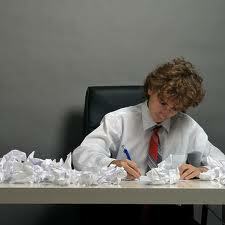 Home > > Resume Writing Tips Scare of preparing your Resume !!!!!!!!! At times, Resume writing can be one of the trickiest jobs, especially for beginners. Resume writing is an important marketing tool; its motive is to showcase the positives of your background and is to convince an employer that the resume holder fits for the job. However, we tend to make certain mistakes which might ruin our impression. So, here is the list of mistakes which must be avoided. A resume must have a clear objective statement. For instance, a resume must say that you have the skills to fulfill all the requirements for a job, its must be dead straight. Words and phrases like, try, "where I can grow", must be avoided and words like proven skills must be used in the objective statements. You have just passed out of college with an engineering degree and you also have a 1 year experience as a salesman. So, if you are applying for an engineering job and you use such experience as your forte then you are showing irrelevant data. You may showcase it as additional skill. Moreover, any outdated experience must be avoided. A lot of resumes display the responsibilities, for instance, I was responsible for recruiting sales executives. This must be avoided; every employer is interested in what you have achieved and not what your job instructed you to do. The above statement must be, I have recruited or selected sales executives. So, show what you have done and not what you previous job asked you to do. Never list anything which is not directly connected to you. This can become a huge problem if the employer asked you about any unrelated data. Don`t write anything about references, references are not necessary part of a resume and might direct an employer to something so avoid it. Above all, check your grammar and spellings as well, these are minor blunders but can have a huge impact.